Is your stag sushi mad? 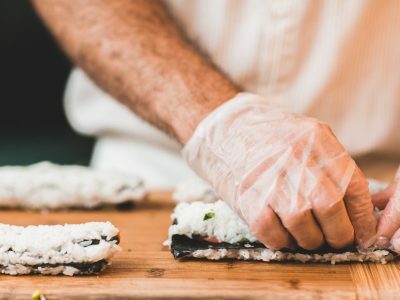 Give him the gift of sweet sushi skills with this fun sushi making class in Barcelona! They say that the best way to learn is to do, and you will have your own professional chef to show you the ropes. All of the equipment and ingredients you need will be provided. Your chef will show you exactly how to make the perfect sushi from beginning to end. Magic! This is a 100% participative workshop, so be prepared to get your chef hat on! 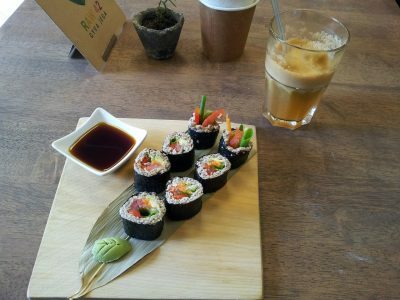 You and the lads will learn all about sushi rolls, how to make them perfectly and how to make top-notch rice. Of course the best part comes towards the end, when you tuck in and taste your creations! If you have any questions about the class, feel free to get in touch with your party planner. They will be able to give you some answers and make sure that this awesome class if the perfect fit for you!